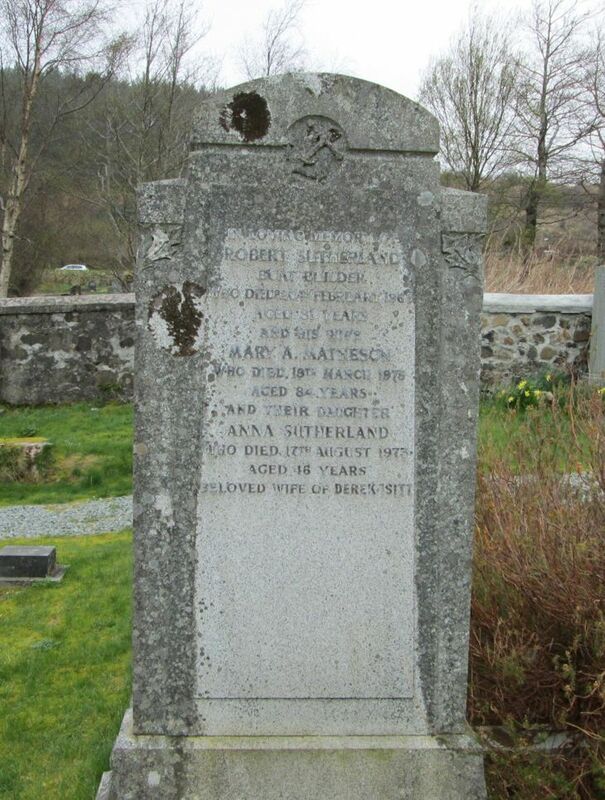 Skye Gravestones | Robert & Mary (Matheson) Sutherland,d. Anna Isitt. Robert & Mary (Matheson) Sutherland,d. Anna Isitt. In loving memory of/ROBERT SUTHERLAND/boat builder/who died 20th February 1965/aged 81 years/and his wife/MARY A. MATHESON/who died 19th March 1975/and their daughter/ANNA SUTHERLAND/who died 17th August 1973/aged 46 years/beloved wife of DEREK ISITT.